A dog, also known as man’s best friend, is the happiest when he’s healthy. 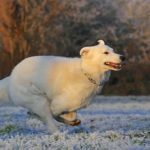 Ensuring your dog’s physical and mental well-being means keeping him motivated, even when you are not home. Spending maximum time with your dog and providing him a healthy lifestyle is key to your dog’s happiness. Helping your dog maintain a good health is an important part of being a pet owner. Here some easy ways to maintain your dog’s health. Your first step should be to take your dog to the veterinarian and learn how to maintain your dog’s health. Your dog’s veterinarian is your partner in your dog’s health care; so, talk to him before you make any changes regarding your dog’s lifestyle. Your veterinarian will perform a complete physical examination as there are a number of diseases or health issues that can affect your dog’s health as well as appetite. An animal is the happiest when he can exercise, and to cope up with the wear and tear during the exercise, he must eat healthful food. Choosing an all natural, human grade food for your pup gives them the nutrition they need to achieve optimal health, avoid the ailments caused by processed “pet foods”, maintain a strong immune system and increase their lifespan. Again consult your vet to find which food is the best for your dog, because the nutritional needs of every dog breed are different. Even the amount of food that dogs need may differ according to their sizes. Also know from your vet which foods are bad for your dog. There are certain fruits, for example, that can be toxic for dogs. Visit US Bones to know everything about dog food, what’s good and bad, reviews of various dog food brands and more. Exercise is great for your dog. 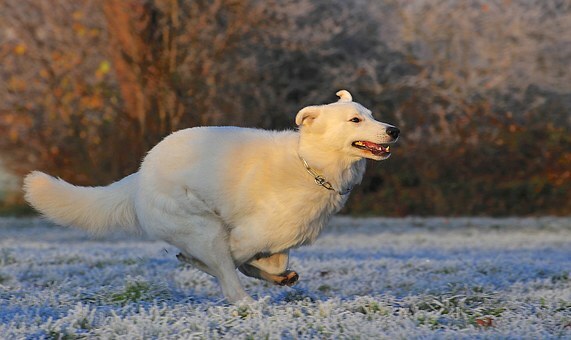 If your dog is doing a lot of cardio they will burn more calories and will need more food to maintain or gain weight. Keep your pup active. Our dogs need exercise just as much as we do. Take your dog on a walk around the block or play a fun, interactive game with him. Exercise is beneficial as it will help your thin dog build muscles which add bulk to his body. This will not only increase his mental alertness, but also strengthen the bond between you and your dog by making your expectations for him clear. If you aren’t sure what training would benefit your dog the most, contact a certified pet dog trainer. Follow these tips to make the time with your dog the most fun and best in your life.